ONE9 has an abstracted graffiti style, which set his designs apart from those painting in the more traditional forms. His breakdown of the letter and image is truly unique. 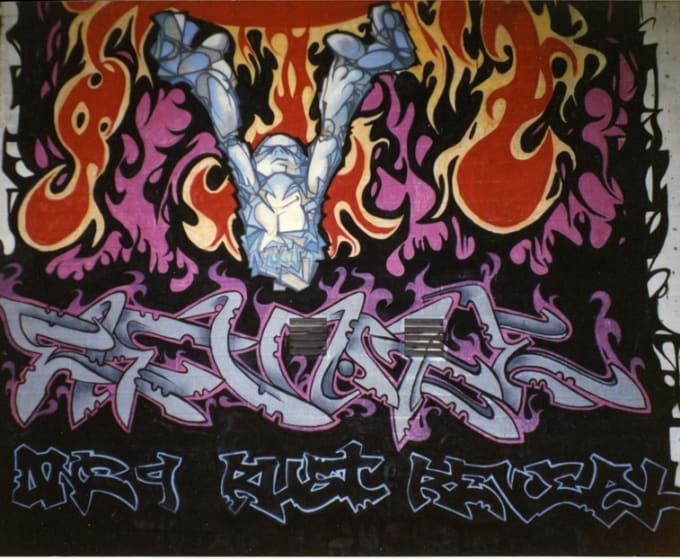 Additionally unique, ONE9 was instrumental in creating DC’s first legal graffiti initiative through the DC Department of Parks and Recreation in 1996. This program was responsible for the placement of several graffiti murals inside city parks and schoolyards. As founder of BOE Laboratory he also is one of the first writers from DC to start legitimizing their craft, and he was instrumental in bringing to fruition HEAD FLOWS the first retail store/gallery dedicated to hip-hop culture in DC, where writers could purchase magazines and caps.